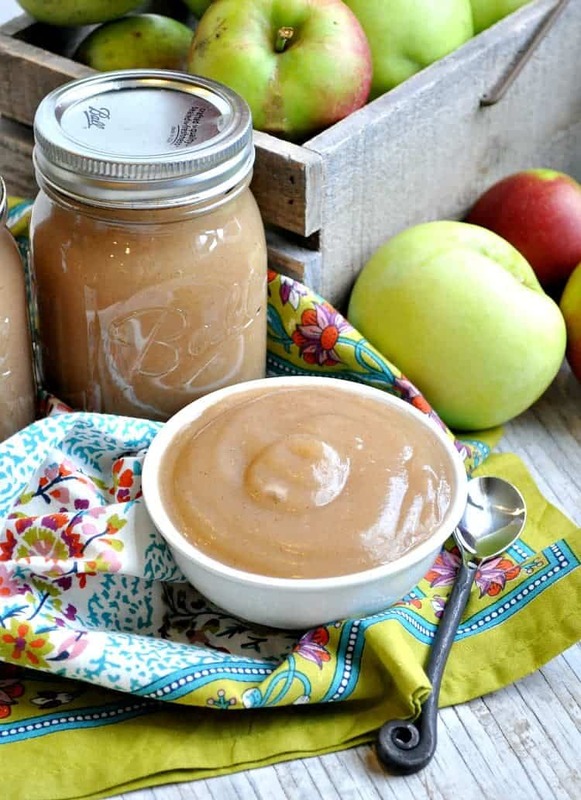 Homemade applesauce doesn’t get any easier than this! 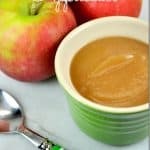 Fill your Crock Pot with the season’s fresh produce and after a few hours of simmering you will have a sweet, healthy Slow Cooker Applesauce ready to enjoy. 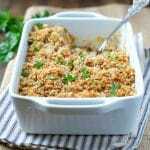 It’s a fall side dish, breakfast, or snack that my family adores! My kids are total applesauce connoisseurs! They LOVE the stuff. We’ve sampled more than our fair share of farmer’s market sauces, store-bought jars, store-bought pouches, and homemade recipes. But you know what? 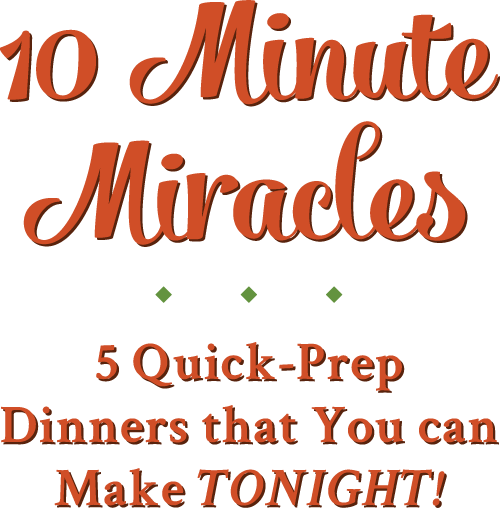 This is by far their favorite, which works out well for me…because it’s so darn easy! 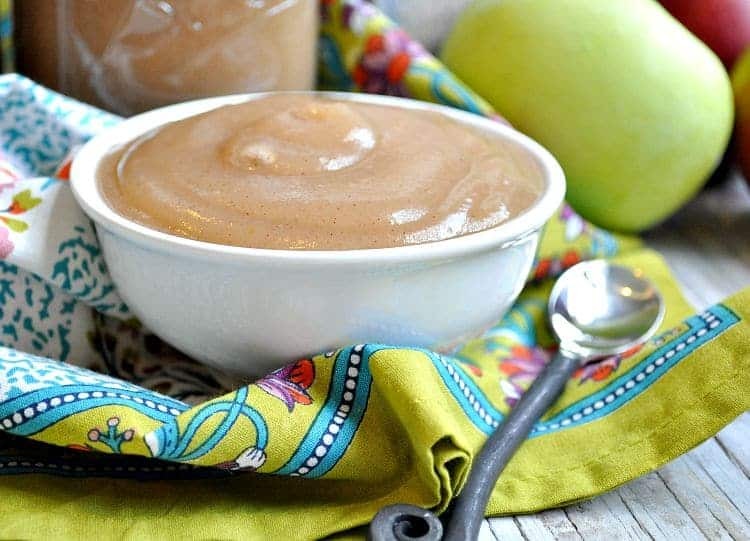 A couple of years ago I shared a recipe for Oven-Roasted Cinnamon Applesauce, which is definitely delicious. However, sometimes it’s nice to have a good, solid, standby recipe that requires very little effort and very little hands-on time. I often just don’t have the desire to deal with an oven when I’m running in a million different directions. 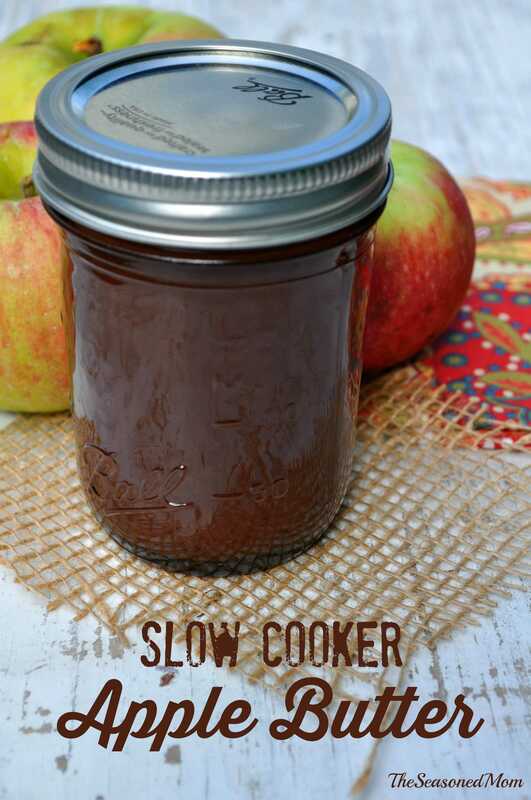 That’s why this Slow Cooker Applesauce is so great! Once the apples are peeled and sliced, the hard part is done. Just toss everything in the crock pot, cover, and go about your day. It helps to stir the pot every hour or two, but you definitely don’t need to be vigilant about this. I just give it a toss whenever I’m around and passing through the kitchen. Eight hours later, your house will smell amazing and you will have a lovely batch of chunky applesauce warm and ready to can or serve. 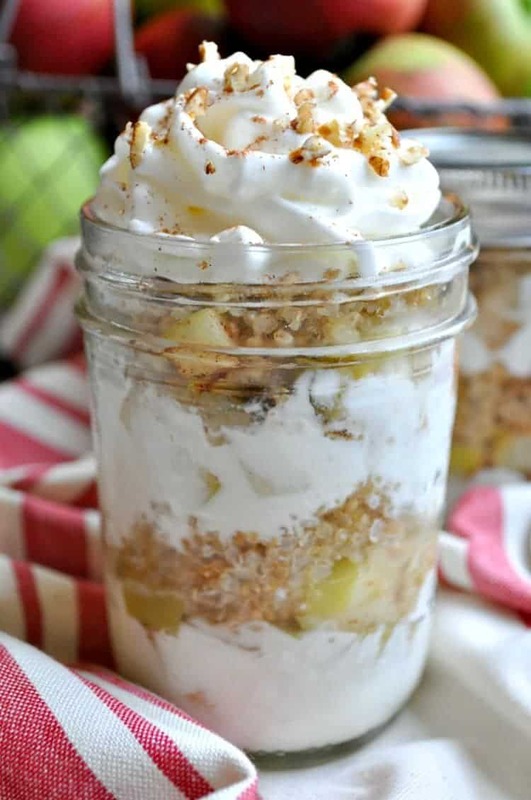 If chunky applesauce isn’t your thing, no problem. Just use an immersion blender or a regular blender to puree the sauce until it reaches your desired consistency. Really, this couldn’t be easier! 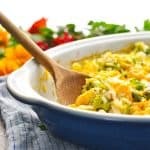 It’s the perfect side dish at any time of day, and it freezes perfectly. Enjoy! 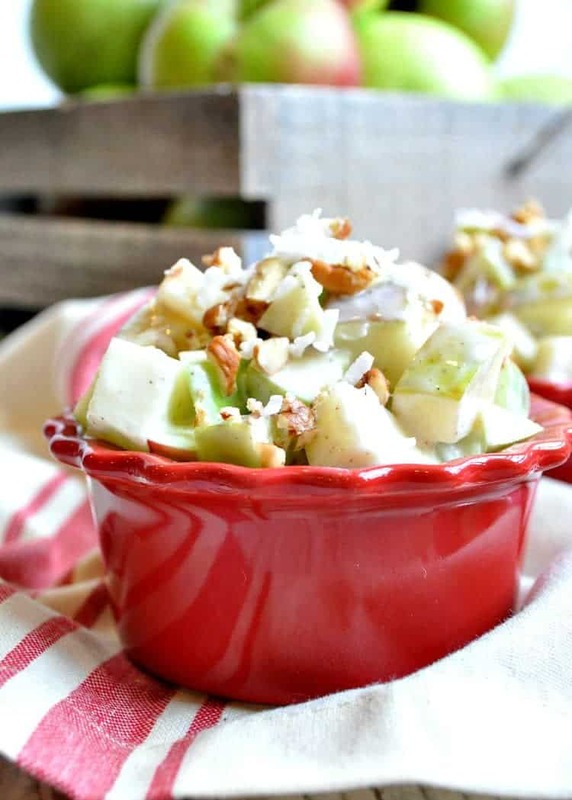 Place apples in bowl of slow cooker until full. Add sugar and cinnamon, stir. Pour water over apples and cover. Cook on low for 6-8 hours, stirring occasionally. 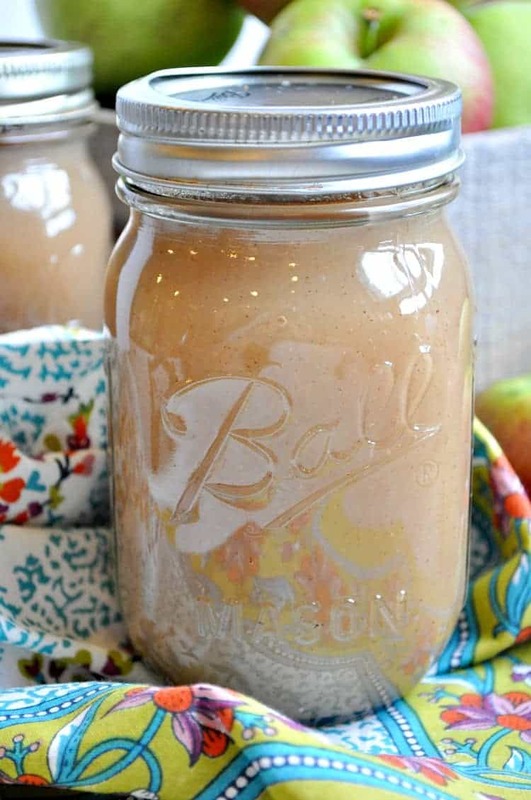 At the end of your cooking time, you should have a chunky applesauce in your pot. If your family prefers a very smooth consistency, just use an immersion blender to puree, or transfer applesauce to a large blender to puree until the sauce reaches desired consistency. Now I’m totally craving applesauce, Blair! I make it just about every fall, but have never tried it in my slow cooker before. This sounds just perfect! And I’m sure your house smells amazing all day long, too! Thanks, Gayle! 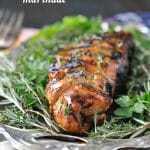 This recipe is so easy and you just can’t beat the smell! It’s been a long time since I’ve made homemade applesauce. I really love the idea of making it in a slow cooker. The aroma must be incredible! 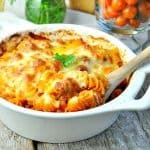 Oh my goodness, this looks absolutely delicious!! 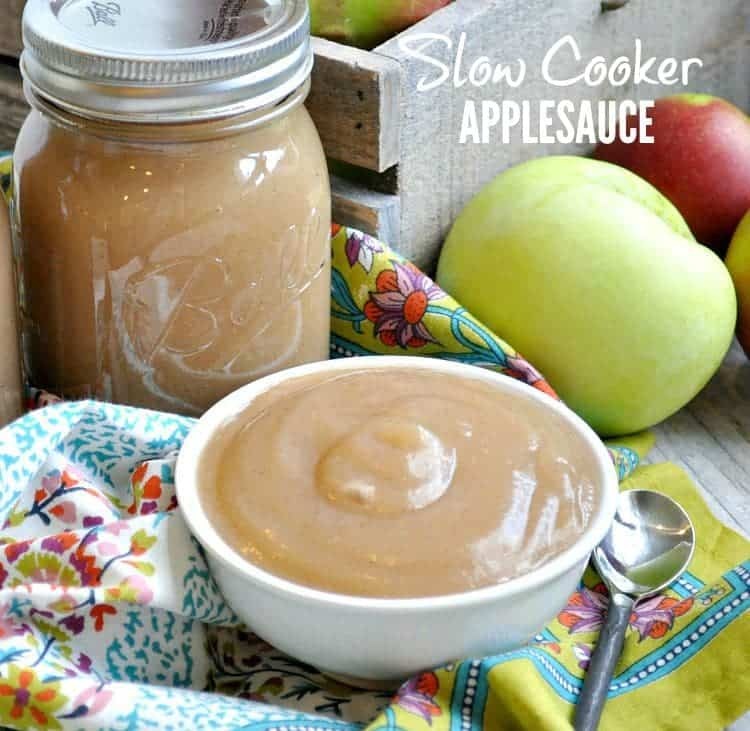 Making applesauce in the slow cooker is such an awesome idea–I’m getting hungry just thinking about that heavenly fall scent it would give the house! Thanks, Anna! It smells awesome and it tastes so good that it’s almost like dessert! It indicates it serves 15, but do you know approx. how many cups? Hi Tobi! If I cram my pot full of apples, I can get 4 full pint jars out of one batch. So I would say 7-8 cups. I assumed 1/2-cup servings when I used the 15 serving number. Hope that helps!? Hi, Doris! Yes, I’m sure that you could can it, however, I have not tried to do that myself. 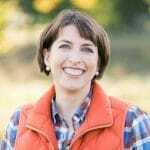 I’m definitely not a canning expert, so I won’t even pretend to give you advice about how to go about the process. I know that you would just have to follow canning protocol (boiling/sanitizing the jars and lids, boiling the jars to seal, etc.). Once it’s properly canned, I believe that you can leave it on a shelf in the pantry for about a year! 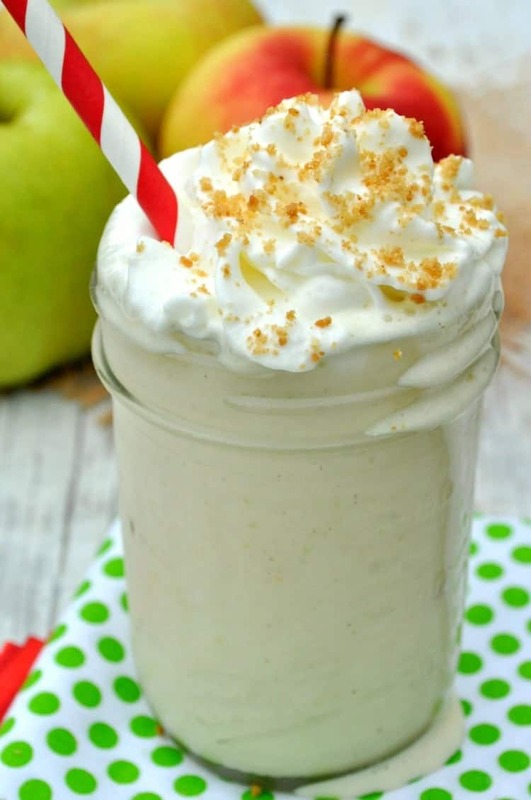 What kind of apples are best to use for this recipe? What kind of apples are best used? * sorry mistyped my email in my last comment. I made this recipe last night and two teaspoons is way too much cinnamon to come out looking like the picture. Mine looks more like applebutter now. So if you want it too look the color of Blair’s I would suggest little to no cinnamon.